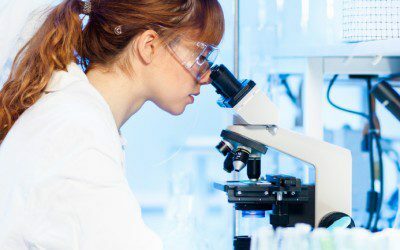 If you have Type 1 diabetes and early signs of kidney problems, you may be interested in new research being conducted by JDRF and the National Institute of Diabetes and Digestive and Kidney Diseases (NIDDK). Kidney disease is one of the main complications of uncontrolled diabetes, and it can lead to a variety of health problems such as the need for dialysis or a kidney transplant. This trial is designed to evaluate allopurinol, a safe and inexpensive gout medicine, for its ability to prevent or slow kidney disease in people with Type 1 diabetes by reducing levels of uric acid in the blood. Roughly 480 people will ultimately participate in the study, which will last three years and will involve periodic kidney function measurements to see if the treatment is effective. Four visits to an official study center will be required, for which travel expenses will be covered, while additional visits may be conducted at a doctor’s office or another local health-care facility. Study-related procedures and tests are conducted at no charge, and a small payment for participants’ time is available. To be eligible to volunteer, you must be at least 18 years old, have had Type 1 diabetes for at least 8 years, and have early signs of decreased kidney function on blood and/or urine tests. Eligible participants will be invited to a screening visit. For more information about the research, and to find an official study site near you, visit the study website, call (800) 688-5252, extension 65630, or (612) 626-5630, or e-mail [email protected].